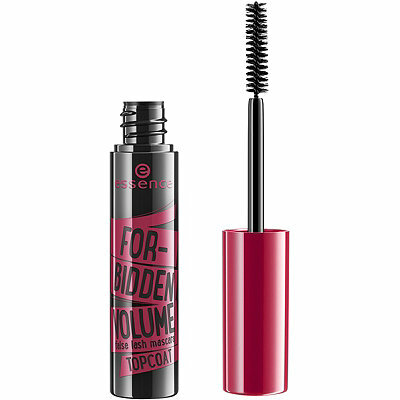 Let me tell you a tale of this little Essence mascara: The Forbidden Volume Mascara. This review started out very differently. I received this essence product in a bag full of eye makeup for a glam night out. It had silver eyeliner and liquid liner. Everything a girl could ever want for serious drama. That’s why I was so surprised when I applied this to my lashes. There was no drama here. My lashes looked weak. I downgraded this to a day product, but still wasn’t thrilled. After 2 or 3 coats, it would work as my office makeup look, but I don’t like having to work so hard for this. I used this mascara for weeks. For some reason I wasn’t willing to give up on it. The colour was great on my eyes. I liked that it wasn’t waterproof, but stayed put. It came off easily at the end of the day. It never irritated my eyes. It was a bit clumpy sometimes, but I could usually clean the wand to fix it. Finally it came time to write this review. I brought the Essence mascara to my computer. I started writing. I wanted to make sure that I got the name correct, so I looked at the package. Essence Forbidden Volume False Lash Mascara Topcoat. Wait a minute! Topcoat? I had no idea it was a topcoat. The instructions on the side of the bottle say to apply it over your favourite mascara.